Water Heater solution? Quick Call Houston Plumbing can help! Quick Call Houston Plumbing is “the GOTO source” for water heater solutions for the Houston area. We carry top quality names like Bradford White, Rheem, Rinnai and KD Navien. Our trained & licensed plumbers have many years of experience and are always ready to help you in deciding which type of unit is best for you. 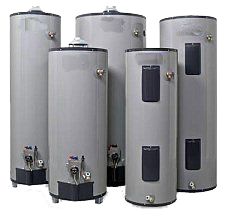 Not only do we help you choose the best water heater but will also perform all water heater installation requirements as part of our fair pricing structure. Our water heater prices are always fair. Call Quick Call Houston Plumbing now for a low cost yet reliable water heater now! We’re ready to provide quick & reliable service. So what are you waiting for? Call Quick Call Houston Plumbing to get a water heater installed today and to talk to a real plumber. We can provide you a price right over the phone so that you’ll know up-front what the cost will be to get your heater serviced or installed. Just a quick note, our prices are always the same for weekends as well as holidays. Quick Call Houston Plumbing provides service to all cities in and around the Houston area. If you are looking for a service, repairs, or installation of a water heater in the Houston area, then call us today at 713-504-3217 complete our online service request.